Today was a special day in Boring. Earlier this year the Oregon Legislature passed a bill designating August 9th as “Boring and Dull Day” to celebrate the official pairing of Boring, Oregon and Dull, Scotland. 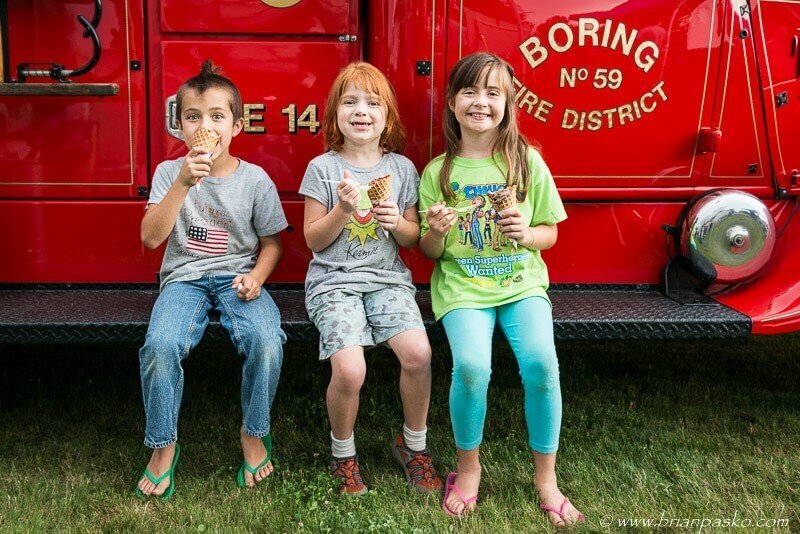 Here’s a shot of a few of Boring’s younger residents enjoying an ice cream cone provided by our local community planning organization (click the image to view a larger version).